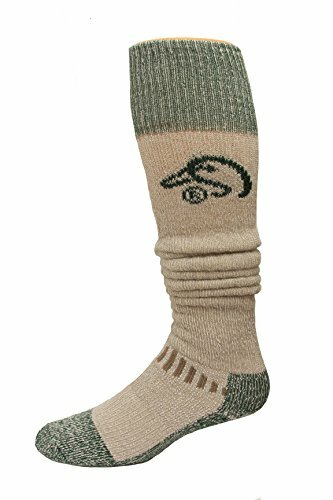 Ducks unlimited Tall Outdoor Boot Socks are heavy weight to better support you in extreme climates. These socks have a Full Cushion leg and foot to absorb shocks to give you an extra comfort. The soft Merino wool and Acrylic mix keep your feet dray and warm. With an Arch support for better fit these sock are perfect for your outdoor needs. These socks are Extra long and can go up past your knee.